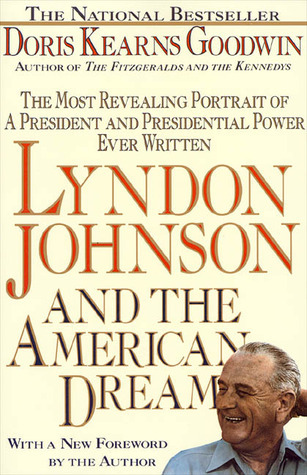 “Lyndon Johnson and the American Dream” is Doris Kearns Goodwin’s life of Lyndon Johnson. Published in 1976 (just three years after LBJ’s death), this was Goodwin’s first biographical work. She is now a Pulitzer Prize-winning author and presidential historian who has also written about John F. Kennedy, Abraham Lincoln, Franklin Roosevelt, Teddy Roosevelt and William Taft. Context is critical to understanding any author’s perspective in writing a presidential biography, and Goodwin certainly brings a unique frame of reference to her coverage of LBJ. Having met President Johnson as a White House Fellow in 1967, she maintained a close professional relationship with LBJ until his death in 1973. And her husband (Richard Goodwin) worked in both the JFK and LBJ administrations. This ostensibly comprehensive 400-page biography memorializes Goodwin’s discussions with Johnson during the decade-long friendship they maintained and attempts to extract from them the true nature of his character. The most intriguing portions of the narrative involve LBJ revealing to Goodwin what he presumably hoped history would remember of his personal and political legacy. But the most intellectually interesting elements of the 1991 edition I read include the newly-written Foreward as well as a lengthy Author’s Postscript. In these sections Goodwin describes the nature of her relationship with LBJ and provides a robust review of her analysis (and psychoanalysis) of his character. Anyone intrigued by LBJ should read Goodwin’s postscript, if nothing else. Some readers are likely to find Goodwin’s efforts to get inside LBJ’s mind – no matter how interesting or successful she proves – too frequent and pervasive. In addition, anyone searching for the footprints of arduous, detailed research will find fewer (and less instructive) footnotes and sources than in later Goodwin biographies. And while she does an admirable job exposing his most notable strengths and weaknesses, she does not exhibit the same propensity for dissecting and analyzing his presidency. And just as the author’s focus on Johnson’s persona overshadows his politics, much of his fascinating early life receives scant attention. The four decades in which LBJ grew up, worked as a teacher and eventually found himself in the midst of a lengthy congressional career takes Goodwin less than one hundred pages to explore. Robert Caro, by contrast, consumed nearly 800 pages covering the same ground. As a result of Goodwin’s comparative brevity, the story of Johnson’s first bid for the U.S. Senate receives only a paragraph – the same amount of space she allocates for his service during World War II. LBJ’s successful (and wildly controversial) election to the Senate, which could easily form the basis of its own book, receives about a page. Another consequence of the cursory focus on LBJ’s pre-presidency – but a natural consequence of Goodwin’s unique window into his life – is that the reader is never able to observe the incredibly enlightening relationships Johnson maintained with Sam Rayburn and Richard Russell. But perhaps even more critically, this biography fails to reveal the ruthless dexterity with which Johnson accumulated and wielded power as Senate Majority Leader. Overall, Doris Goodwin’s “Lyndon Johnson and the American Dream” capably fills an important niche by revealing the author’s perspective on her interactions with a complex and often conflicted politician. Despite its inherent flaws as a biography, this is a unique and often fascinating book which adds nuance and texture to the portrait of LBJ provided by most contemporary accounts of his life and character. I truly enjoy your postings/blog and website. I use your recommendations to select the books I read as I work my way through the US Presidents. Thus far I am mostly in agreement with your critiques. Thanks! Although it was originally intended to just serve as a repository for my thoughts / notes, the website has clearly expanded a bit beyond that. Do let me know if at any point you feel like you weren’t well-served by any of my critiques! I’m always interested to hear when people have a different reaction to a book I particularly liked (or disliked). I repeat what Jeff said “Excellent review!” I have a First Edition, so I will locate an edition with the new additions. Echo all above, though I’ve been skeptical on this one, perhaps a little to close to her subject. 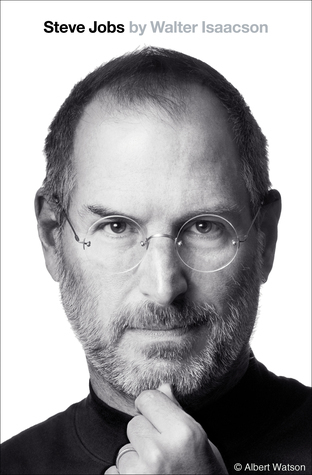 Hey Steve – I bet lots of us would enjoy seeing a photo of your entire presidential biography book collection. Any chance you could post one? Thank you for sharing. The open space reminds me of a certain 18-minute gap. But, ultimately, your mystery will be resolved. 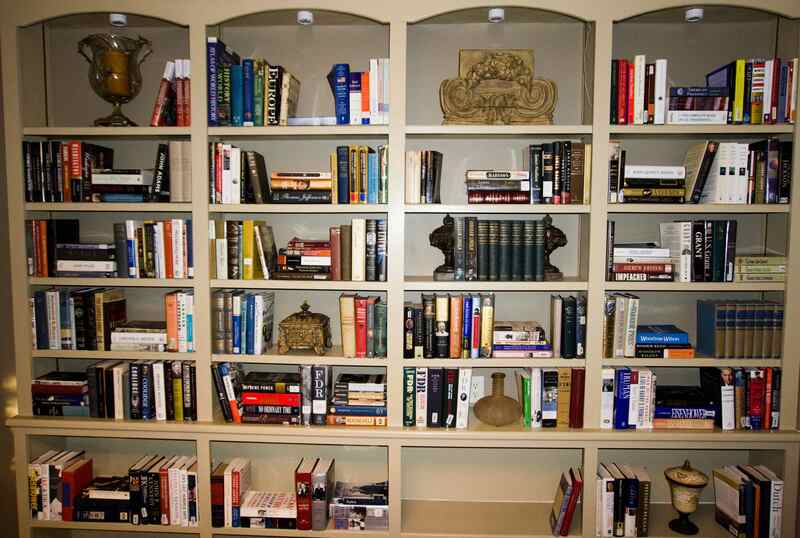 I like the horizontal organization across the stacks (versus a vertical downward alignment).